These four waterworks districts are purchasing and installing more efficient and consistent meter reading technology that enables district staff to read meters with greater ease. This new meter reading equipment consists of radio read technology, replacing the current manual and electrical read systems currently in place. Through this program, leak detection is more efficient and missed meter reading (due to weather or other limitations) will be eliminated. 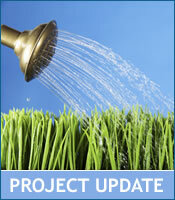 This project supports the Streamlined Water Use Reporting for the Okanagan. The District of Coldstream is using the SHIM methodology to accurately map and inventory Craster, Brewer and Coldstream Creeks within the municipal boundaries of the District. SHIM projects collect data on the health of riparian areas, fisheries values, human modifications, water intakes, storm water outfalls, erosion and other water quality concerns for creeks systems. Information and data gathered will be used in future planning efforts (residential, industrial and agricultural) for the District of Coldstream and be valuable to Greater Vernon Water as part of the Kalamalka Lake Watershed Assessment that is being undertaken in 2009. Projects that contribute data to large regional efforts are a priority for this grant program and this project complements and extends work already done in the North Okanagan. The OCCP is completing Foreshore Inventory Mapping (FIM) for 42 km shoreline of Kalamalka Lake and 17 km shoreline of Wood Lake; involving GPS data gathering on all shoreline attributes and detailed video footage (synchronized to GPS). The maps, video footage, reports and other data generated from this project will assist 3 local governments with Riparian Area Regulation assessments and other development permitting matters and can contribute information to Official Community Plans. This project includes large scale collaboration by multiple local and provincial government, non-profit groups and UBC-Okanagan. 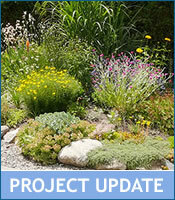 The Okanagan Xeriscape Association has three components to enhancing Xeriscape and low water landscape options in the Okanagan: providing thorough and central source of Xeriscape information, working with local nurseries to create viable market for xeric plants, and promote benefits of xeric landscaping through a public demonstration garden. The Okanagan Xeriscape Association will increase the amount of information about xeric landscaping and assist in changing attitudes that tend to favour high water use plants. This project has substantial in-kind support from the City of Kelowna; including an agreement to provide resources for a xeriscape demonstration garden. The Regional District Central Okanagan will build on the previously completed stream restoration to further work in Joe Rich Creek along the Weddell and Frederick properties. The previous phase of this project was extremely successful and a model collaborative project. Phase II will incorporate an outreach and education component to the program in addition to continuing monitoring efforts. 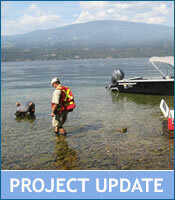 The District of Lake Country will complete Modules 1, 2, 7 and 8 of the Source to Tap Assessment for both Okanagan and Kalamalka Lake intakes operated by the District, and will incorporate additional data collection to strengthen the contaminant source survey (Module 2) and the risk characterization (Module 7) components of the Assessment. 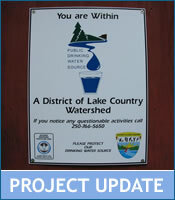 Additional data collection includes water quality sampling and water current modeling for Kalamalka Lake, which has not been collected in any other source assessment to date. 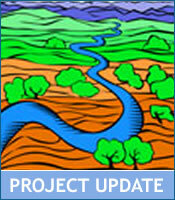 The OBWB has identified source water protection as a priority in the Okanagan. 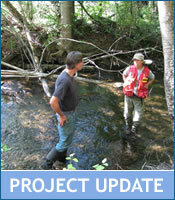 The Mission Creek Working Group, a partnership among MoE, City of Kelowna, ONA, Westbank First Nation, RDCO, Friends of Mission Creek, DFO and Central Okanagan Land Trust, are modeling the dyke set back required to re-establish channel meanders as part of the Mission Creek Restoration Project, in addition to developing an outreach/communication plan for this project. The channel model will maximize river meanders while minimizing the amount of private land purchase required, making the Mission Creek Restoration successful. The outreach component will work to facilitate the property purchases necessary for the project. Once the model is complete, land purchase negotiations and all engineering work related to creating new dykes at a specified location will need to be completed. These projects are components to a very large multi year restoration effort that will see water quality benefits to Mission Creek upon completion. The District of Peachland will complete Source to Tap Assessments and Protection Plans of both the Peachland (Deep Creek) and Trepanier Creek watersheds by completing Modules 1, 2, 7 and 8 of the Drinking Water Source to Tap Assessment Guidelines. 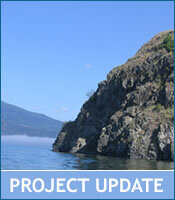 The OBWB has identified source protection planning initiatives as a high priority in the Okanagan. The District of Lake Country will complete Source to Tap Assessments and Protection Plans of both the Vernon and Oyama Creek watersheds. Modules 1, 2, 7 and 8 of the Source to Tap Assessment will be completed with a planned GIS-based spatial analysis to accompany the Assessment. The OBWB has identified source protection initiatives as a high priority in the Okanagan. The Oceola Fish and Game Club will develop a Watershed Health Tracking system to quantify and rank stream and riparian health within the watersheds of the District of Lake Country. Performance indicators will be developed so that individual streams can be easily categorized. Factors affecting the health of these areas include percentage of area as forested cover, agricultural land or impervious surfaces; targets will be developed based on known capacity for stream baseflows and riparian potential. The information in a Watershed Health Tracking System can be utilized by local government staff in planning and development matters. This project will review irrigation design for 24 municipal parks in WID to ensure efficiency, after which water meters, backflow preventers and timers will be installed for each park. Outdoor irrigation is the largest domestic water use and is commonly indicated as a sector that can be more efficient; WID believes this project will increase water use efficiency in public parks. In order to further source protection initiatives in the Mission Creek watershed, Black Mountain Irrigation District is installing fencing and off channel watering sites for cattle in high priority areas. 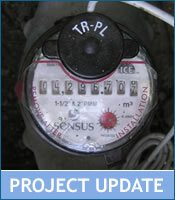 The need to complete these works was identified in the Source to Tap Assessment, undertaken by BMID in 2008. This project will be a collaborative effort between BMID, the Ministry of Forests and Range and the range tenure holders in the area. 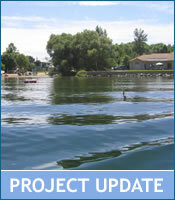 The Regional District Okanagan Similkameen will complete Foreshore Inventory Mapping on the entirety of Okanagan Lake by mapping the southern portions of the lake, as the central and northern portions have already been completed in previous years. Foreshore Inventory Mapping will catalogue habitat features and sources of impairment along the shoreline and identify those that need protection or restoration. This is a joint application between RDOS and RDCO, demonstrating the significant multi-jurisdictional commitment to see these efforts completed on a basin wide scale. 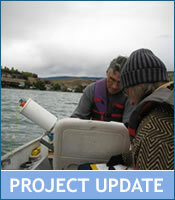 Due to concern about cyanobacterial levels in Skaha Lake through winter 2008/09, this project will monitor cyanobacteria at various depths to assess exposure and rates of incidence at the Kaleden Irrigation District intake. 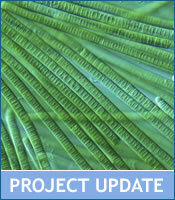 Cyanobacteria produce toxins where chronic, low dose exposure can have human health effects. Once the characteristics of the blooms are understood, water quality protection plans can be developed for Skaha Lake and outcomes of this study will satisfy components of Modules 1 & 2 of the Source to Tap Assessment. This project will determine the types and abundance of algae species of near shore (areas over a variety of nutrient levels and habitats) to establish an algal bioassessment protocol for Okanagan Lakes. With this protocol, simple testing for algae species can provide much information on the relative ‘health’ of near shore areas of lakes – which are most prone to land use impacts, and also considered most important to recreation, tourism and economic development. Approximately 40 sample locations will be chosen throughout the Okanagan, on the mainstem lakes (Osoyoos, Skaha, Okanagan, Kalamalka and Wood). The Okanagan River Restoration Initiative (ORRI) is reconstructing a section of Okanagan River channel in order to re-meander the river for fish, habitat and other environmental benefits. The ORWHFS will monitor water quality and sediment impacts through the course of construction to ensure that water quality does not degrade and sediment is not inputted to the river. Phase I of the project will construct 2 meanders and reconnect 2 oxbows to the Okanagan River, in addition to increasing the river length by 150 meters and re-naturalizing 0.5 km of this watercourse. The District of Summerland will map 6.5 km of high priority sections of Prairie Creek, in order to better assist planning staff with guidance on environmental management decisions and be incorporated into the Official Community Plan, Development Permit Areas, and Zoning and Subdivision Bylaws. 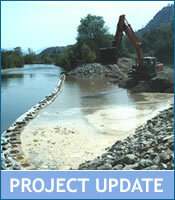 This completes SHIM efforts for watercourses in Summerland. Projects that contribute data to large regional projects are given high priority for this grant program. SHIM has been completed extensively throughout the Okanagan Basin. The City of Penticton aims to reduce water consumption by 5% over the course of a program for Industrial/Commercial/Institutional (ICI) users that will target facility owners or the employees and customers of these facilities. Two approaches will be implemented: water audits that analyze where water efficiencies and retrofits can be made; and targeting customers/end users to conserve water through social based marketing. Comparisons about which ICI water conservation programs are more effective and cost efficient to implement will be made based on the results. This is an innovative conservation project and the first to address the ICI sector in the Okanagan; the OBWB supports innovative projects that can be a model for other organizations.